This was my 2nd SOTA activation, and a lot more phyiscally taxing than the first. 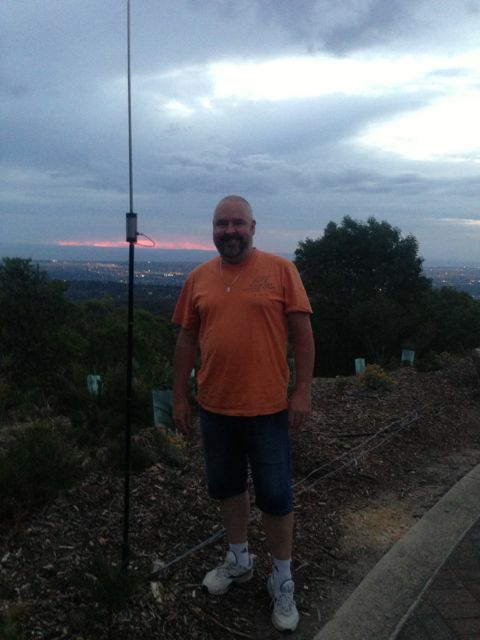 I activated Mount Lofty on the 8th March, 2013. I made the 90 minute walk up from Waterfall Gully. However there is a road leading to the Mt Lofty summit and a carpark at the top, for those wanting the easier option. There is a vistior information centre, cafe, and restaurant located at the summit. The area ia always busy with tourists who come to admire the spectacular view of the city of Adelaide. 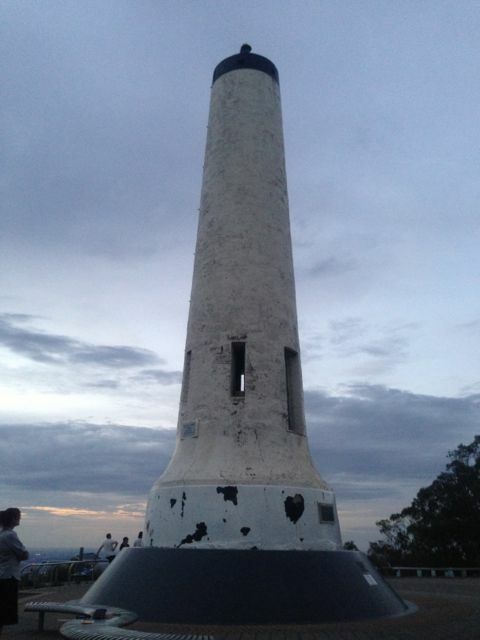 Mount Lofty is 727 metres ASL and is worth 4 points. 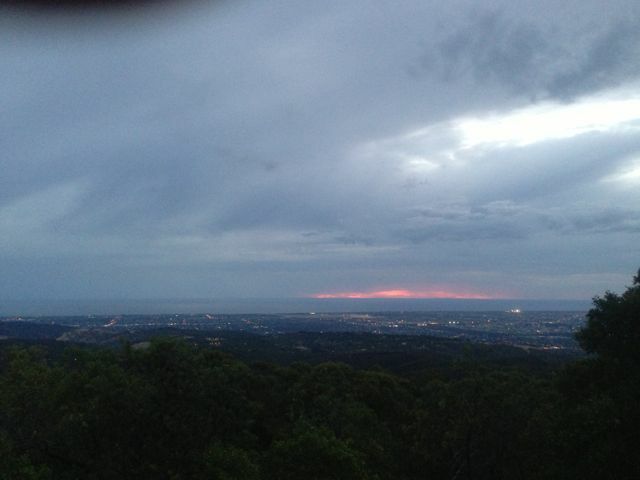 It is situated about 15 kms east of the Adelaide CBD, and is the highest point in the southern Mount Lofty Ranges. It is located about 20 kms west of my home QTH of Mount Barker in the Adelaide Hills. This was a twilight / nighttime activation. Again I used my Yaesu FT-817nd, 5 watts, and my vertical. A total of 14 stations were contacted on 40m. 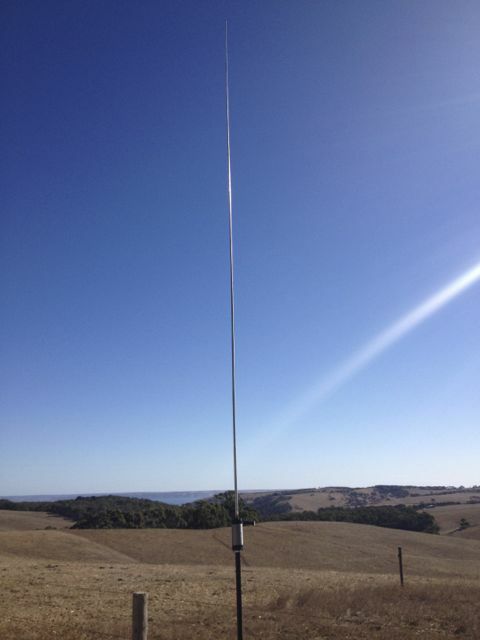 Stations worked were:- Mark VK5MK/4; Peter VK3YE/p; Peter VK3PF; Mark VK1MDC; Robert VK6KRC; Wally VK6YS; Barry VK5BW; Roy VK7ROY; Richard VK3IDX; Shaun VK5FAKV; Bob VK5FBBA; Mal VK5MJ; Scott VK5FSKS; & Andy VK5AKH. I was quite surprised to be getting good signal reports up in VK4 and over in VK6, with just my 5 watts. I could hear quite a bit of DX coming in from the USA, New Zealand, and French Polynesia, but unfortunately was not able to make contact with them. 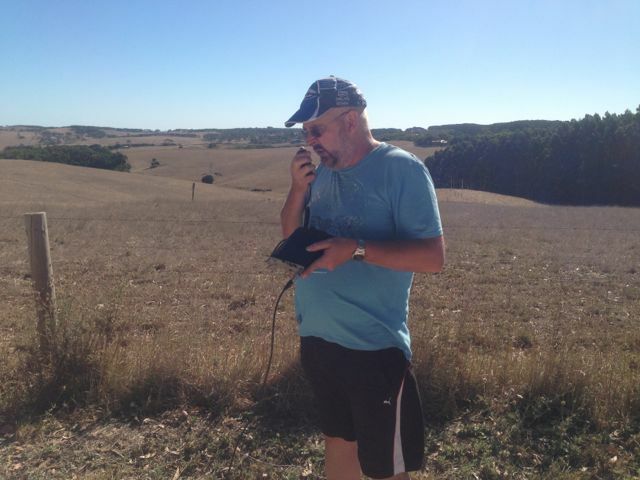 This was my 1st ever SOTA activation, on Sunday 3rd March, 2013. VK5/SE-016 is an un-named summit. It is 365 m ASL and is worth 1 point. It is located on the Fleurieu Peninsula, about 101 kms south of the city of Adelaide. It is located close to the intersection of Three Bridges Road, Dog Trap Road, and Tent Rock Road. It is within very close proximity to the Deep Creek Conservation Park. If travelling from Adelaide, the best way is down the Main South Road, all the way to Delamere, and turn ;eft into Cole Road in Delamere township. Then turn right onto Range Road West and shortly after turn left onto Dog Trap Road. There is a trig point at this location, and even though it is only a few metres off the road, it is not easy to spot. The trig is actually located on private property in a farmer’s paddock. I operated from the side of the road, having walked up from Dog Trap Road into the activation zone. I worked a total of 7 stations on 40m (all VK3’s). Stations worked were:- Peter VK3PF; Rhett VK3GHZ; Steve VK3MEG; Dave VK3VCE; Allen VK3HRA; Peter VK3ZPF; & Peter VK3FPSR. I used my Yaesu FT-817nd, 5 watts, and a vertical antenna (a Chinese version of the Buddistick). The vertical worked okay, but signal reports were not as great as what I expected. All in all I was just happy to get my 4 QSO’s. It was quite a buzz when I called CQ and somebody came back to me. This was not a planned activation. I was just sitting at home and decided to go for a drive with my wife, Marija. One lesson learned, was that SOTA activations are generally best when planned, and you have placed your intentions on a/ the SOTA Yahoo group site; and b/ SOTAWatch.